The Customer Review Score is independently calculated, based on reviews from 250+ major websites & social sites. 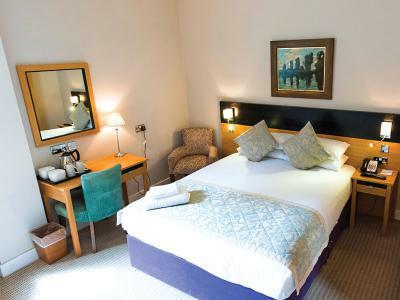 The Maids Head is a 4-star luxury hotel in Norwich city centre, opposite the famous Norman Cathedral and just around the corner from Norwich Castle. 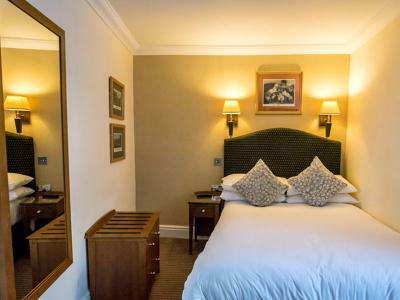 With its central location, the Maids Head Hotel is a great base for a walking tour of the historic city of Norwich with its boutique shops and attractions. 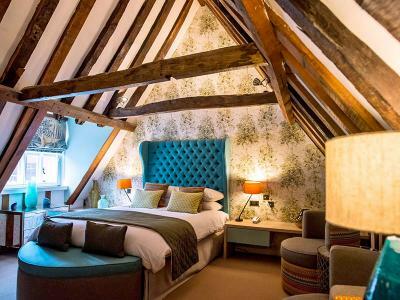 Originally owned by the early Bishops in the day of William the Conqueror, the Maids Head Hotel dates back to the 13th Century and is the oldest hotel in the UK. 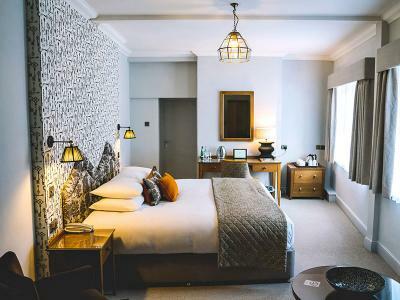 A blend of architectural styles and unique spaces, such as an oak-panelled Jacobean snug bar and period character rooms, make the Maids Head Hotel the perfect complement to a city steeped in history. 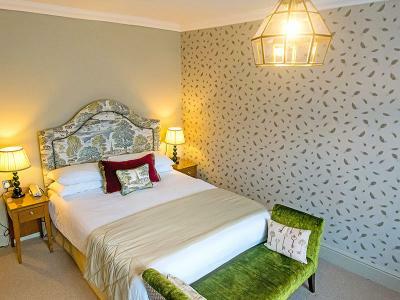 Follow in the footsteps of Maids Head Hotel’s illustrious guests – Queen Elizabeth I, the ‘Black Prince,’ Catherine of Aragon, Horatio Nelson and Edith Cavell. Norwich railway station is just a mile and Norwich airport is three and a half miles away. Ample free parking on-site. 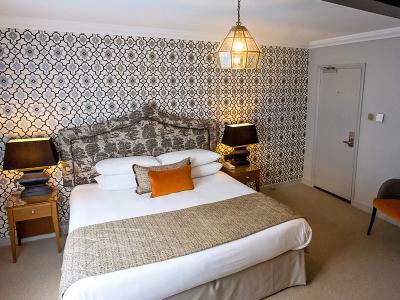 The Maids Head Hotel offers a mix of styles of room; from contemporary executive rooms (in the new block), to period character rooms. 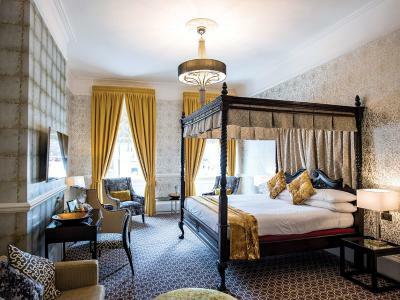 The Queen Elizabeth suite, rumoured to have been Queen Elizabeth I’s boudoir when she visited the city in 1587, features exposed beams and antique furniture from the 16th Century. 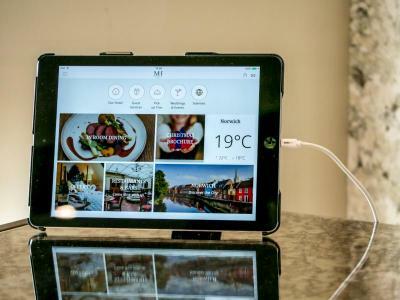 All rooms have free Wi-Fi and satellite TV as standard. Room service is available. Contemporary style en suite bedroom, 118 sqf, offering free Wi-Fi, satellite TV, digital radio, writing desk, direct dial telephone, tea and coffee making facilities, in room iPad guest services directory providing hotel information, writing desk, seating area, ironing station, toiletries, hairdryer and key card access. Single bed. Contemporary style en suite bedroom, 172 sqf, offering free Wi-Fi, satellite TV, digital radio, in room iPad guest services directory providing hotel information, writing desk, seating area, tea and coffee making facilities, direct dial telephone, ironing facilities, toiletries, hairdryer, and key card access. Contemporary style en suite bedroom, 260 sqf, offering free Wi-Fi, satellite TV, digital radio, writing desk, direct dial telephone, tea and coffee making facilities, seating area, in room iPad guest services directory providing hotel information, toiletries, hairdryer, ironing facility and key card access. King-size bed or twin beds. please confirm at time of booking. Z bed can be added. Period style en suite bedroom offering free Wi-Fi, satellite TV, digital radio, writing desk, direct dial telephone, ironing facility, tea and coffee making facilities, seating area, in room iPad guest services directory providing hotel information, toiletries, hairdryer, and key card access. Feature rooms are individual in design and layout with exposed beams and, or period fireplaces. Double bed. Period style junior suite with en suite bathroom, several with walk in showers and roll top baths in the bedroom, free Wi-Fi, satellite TV, digital radio, writing desk, robes and slippers, in room iPad guest services directory providing hotel information, direct dial telephone, ironing station, tea and coffee making facilities, upgraded toiletries, hairdryer, and key card access. 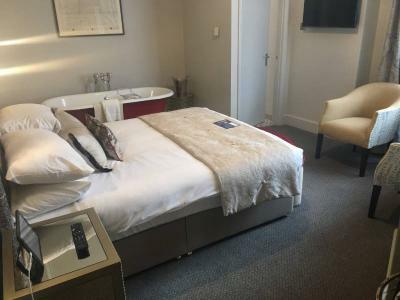 Adding another dimension of history to your break in medieval Norwich, our suites each have their own unique style and features, with views of the city, solid exposed breams, feature fireplaces, antique furniture and luxurious bathrooms. Junior suites have a spacious seating area. King-sized bed. Period style suite with en suite bedroom offering free Wi-Fi, satellite TV, digital radio, writing desk, direct dial telephone, ironing facilities, tea and coffee making facilities, in room iPad guest services directory providing hotel information, upgraded toiletries, robes and slippers, hairdryer, and key card access. 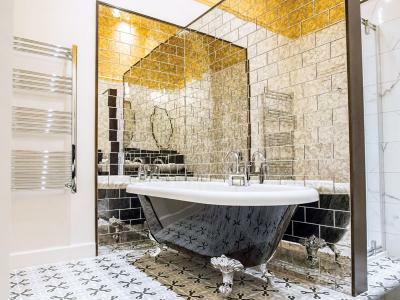 Adding another dimension of history to your break in medieval Norwich, each of our suites have their own unique style and features, with views of the city, solid exposed breams, feature fireplaces, antique furniture and luxurious bathrooms. Spacious, suites either have a separate lounge or a substantial seating area. King-sized bed. Follow signs for the City Centre. Turn left onto the A147 (inner ring road) and follow around the City to the roundabout for the A1151, signposted Wroxham. Take the third exit onto Whitefriars and follow signs for the Cathedral and Law Courts. The hotel is 400 metres along, on the right-hand side, on Palace Street. The WinePress fine dining restaurant offers splendid surrounds in which to enjoy freshly prepared modern British dishes. Its glassed pitched roof, terracotta floor and large clock keeping time over black lacquered statuettes imbue the restaurant with a real sense of history. The menu at the WinePress is overseen by Daniel Galmiche, a Michelin-starred chef, who works in conjunction with the head chef at the hotel to create inspired, unstuffy food. If you’re a cheese lover and want a true taste of the region, we recommend you start with Wensum White goats cheese mousse with glazed beetroot salad, smoked Norfolk cider caviar, Cox’s apple and ruby chard. For a main, the Norfolk Dapple cheese and pearl barley couscous fritters are delicious. Round it off with a mouth-watering selection of Norfolk cheeses. Wine features heavily and guests can enjoy over 40 handpicked wines - including rare Tour de Belfort and local Norfolk wines - by the glass from the restaurant's extensive list. The latest technology ensures that each wine is served in peak condition. A gourmet, five-course tasting menu paired with wines is also available. Please reserve a table for dinner in advance. The Maids Head bar is something of a time machine, transporting you back to the reign of James I with its Jacobean oak panelling and snug. One of the oldest bars in the City, it is the perfect watering hole for a glass of fine wine or a pint of local beer. In the summer, dining at the Maids Head Hotel reveals an altogether different flavour. Take a seat in the fresh open air – sunny or shade – and dine al fresco. Guests wanting to make the most of the fine weather can take their bar meal outside to the hotel courtyard, which offers an oasis of calm to spend a long summer evening after exploring the local area. Don’t miss the opportunity to indulge in afternoon tea whilst staying in this glorious setting – savour homemade scones with fruit preserve and cream, sandwiches, cakes and a pot of tea. Both traditional afternoon tea and champagne afternoon tea are available to order and can be enjoyed in the Maids Head bar. Afternoon tea can be booked in advance, at a special price, when booking your room via ClassicBritishHotels.com. The unique surroundings of the Maids Head Hotel present a wonderful setting for private dinners and celebrations. The hotel caters for reunions, anniversaries, family gatherings, birthday parties, charity and club events, and business dinners. Choose from a range of private rooms, each with its own individual character. Call Classic British Hotels on 0844 967 0984 for advice and let us help you organise a memorable private dinner. Vegetarian, vegan and gluten-free diets catered for. Early suppers and high chairs available for children. A grand Palladian mansion on the north Norfolk coast... Envisioned by Thomas Coke, 1st Earl of Leicester, and built by the architects William Kent and Lord Burlington, this austere Palladian Hall — in the style of an Italian villa — is set in a thriving 25,000-acre agricultural estate and has been the ancestral home of the Coke family since the 1750s. Inspired by the buildings of Venetian architect Andrea Palladio, his classical style and use of symmetry, taken from Ancient Greek and Roman architecture, can be seen from the imposing columns and pediments of Holkham Hall. Indeed, the building and its interiors comprise some of the finest examples of the Palladian revival style of architecture in England. The façade owes its colour to the yellow-brick replicas of ancient Roman bricks cast specifically for Holkham. Constructed of Derbyshire alabaster, the ‘Marble’ Hall features a magnificent colonnade that was copied from the Temple of Fortuna Virilis in Rome; its exquisite coffered, gilded ceiling - rising to a height of over 50 feet - is an imitation of the capital's Pantheon. In stark contrast to this chaste grandeur, master paintings by Peter Paul Ruben and Anthony van Dyck hang on the saloon’s red velvet walls. Ruben’s painting has been noted for its unusual depiction of Christ as a young boy, rather than as an infant or a man. Twenty–two Old Master paintings hang in the landscape room. Significantly, this room holds a collection of seven paintings by Claude Lorrain, the great French landscape painter. The green state bedroom on the piano nobile has played host to nobility of all ranks over the years, including Queen Mary. Indeed, for The Queen's visit, the painting of the god Jupiter caressing his wife Juno, by Gavin Hamilton, was considered too lewd for the lady and banished to the attics. In the bedroom, tapestries woven by the great Flemish weaver, Albert Auwercx, hang either side of the fireplace. The statue gallery houses what is perhaps the most complete private collection of classical statuary in Britain. Here, all of the statues, bar three, are Roman and were sculpted between the 1st and 3rd centuries AD. In Victorian times, they too were shrouded to cover their modesty. Please note that some rooms, such as the libraries and the chapel, whilst frequently open for public view, are private areas of the Hall, and thus cannot be guaranteed on the day of your visit. We apologise for any disappointment this may cause. Norwich 12 is an initiative of Norwich Heritage, Economic and Regeneration Trust to bring together 12 of the City's most iconic buildings into a superb collection of heritage attractions - spanning the Norman, medieval, Georgian, Victorian and modern eras - that showcase 1,000 years of English architecture and offer a fascinating journey through a heritage English city. Take a guided walking tour of Norwich and visit its magnificent Norman cathedral and castle. Coined 'Britain's Magical Waterland,' the Norfolk Broads are a series of navigable rivers and 63 broads (lakes) located in the northern half of Broadland. A boating destination, visitors can hire a boat, have lunch at one of the waterside pubs and restaurants, and enjoy picturesque walking and cycling routes that follow the rivers, past unspoilt villages and market towns, through the beautiful Norfolk countryside. This Grade II* listed country house - set in a 20,000-acre royal estate near the village of Sandringham, within the Norfolk Coast Area of Outstanding Natural Beauty - has been the private home of Sovereigns for four generations. The official winter residence of Queen Elizabeth II, there is much for visitors to enjoy, including an annual exhibition in the ballroom of the House and acres of beautiful gardens to explore. It was more than 800 years ago that I began my journey. I was an Inn called the Mold Fishe then and before me, the Norman Bishops had their first palace here. In 1359 I had the honour of looking after Edward the Black Prince, eldest son of Edward III, who came to Norwich for a jousting competition. My name changed during the 15th Century and John Paston confirmed this by writing to a friend in 1482, recommending the Maids Head as a good place to stable his horse - very kind of him. Catherine of Aragon, first wife of King Henry VIII, stayed with me in 1520. Was she on the way to Walsingham to pray for a son? I survived the great civil commotion of the summer of 1549, when Master Kett led his rebels into Norwich. He occupied me as his headquarters, but had to leave when the Earl of Warwick arrived in our city and routed his army at Dussindale. In 1587 Good Queen Bess visited Norwich and I named one of my rooms in her honour. She was followed by Master Kemp, who famously danced from London to Norwich in 1599. I was pleased to help him recover. I was a popular meeting place for Royalists during the Civil War - quite dangerous in a Roundhead city. Then, by the 1760s, I was a successful coaching inn, proudly operating as the home of the London bound Norwich Machine. I'd like to thank Walter Rye, who bought me in 1889 to preserve my historic character. He also extended me onto Tombland, putting me opposite our great Norman Cathedral. During the 20th Century owners came and went, but now I’m looked after by the Chaplin family who are giving me a contemporary makeover, to ensure that I look my best for 21st century guests. There are many hotels, but of them I am unique. I am the Maids Head Hotel. I am a Classic British Hotel. I am proud to be different. The Maids Head Hotel, in Norwich city centre, adds a touch of 4-star style and pedigree to your meeting or event. Its central location makes it an ideal meeting venue, along with free on-site parking and complimentary Wi-Fi throughout the hotel. Norwich train station is just a mile away and Norwich airport is three and a half miles away. There are 6 meeting rooms at the Maids Head Hotel, Norwich, each one with its own unique character and fully-equipped with the latest audio and visual equipment. A range of meeting spaces offer the ultimate in flexibility enabling the hotel to cater for small private dinners, through to large conferences for up to 200 delegates. Classic British Hotels is a trading name of The Hotel Partnership Ltd. 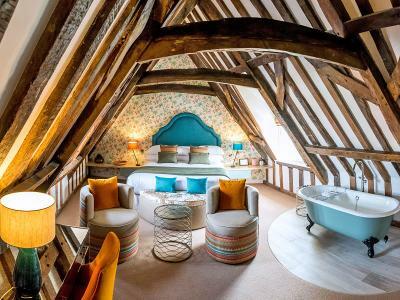 YES - Send me travel inspiration from Classic British Hotels.